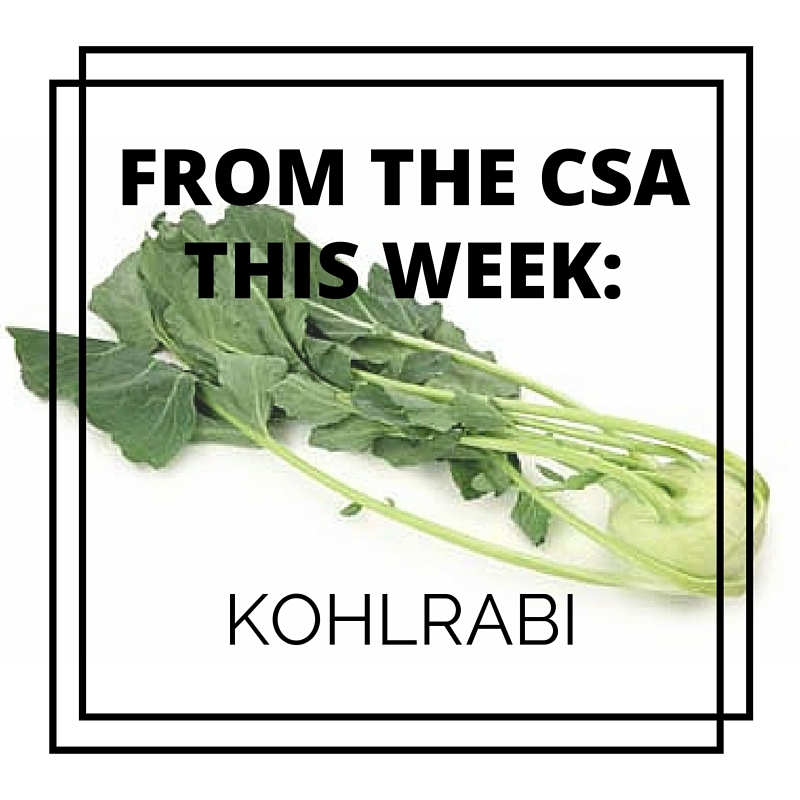 Kohlrabi, that weird-looking vegetable that looks like a root vegetable (like carrots) but is actually a kind of cabbage. The round bulb that the leaves sprout from is actually the stem. 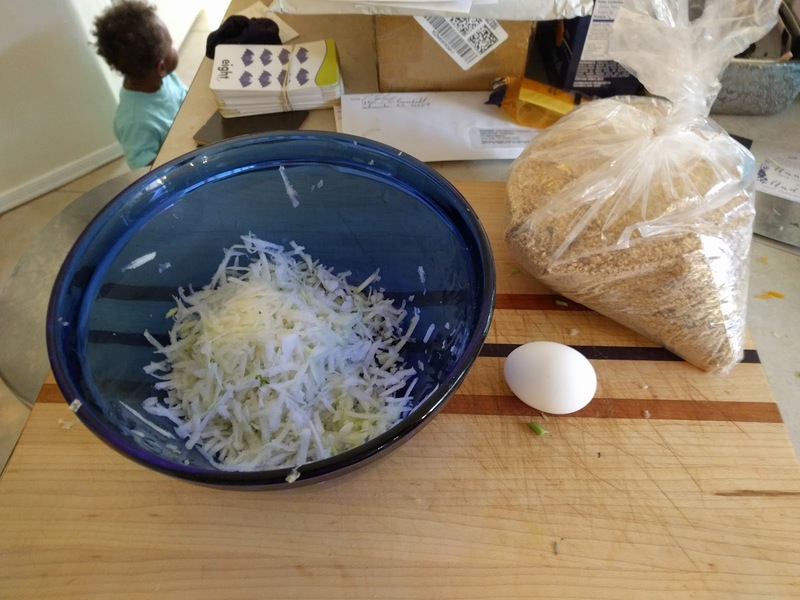 You can eat it raw or cooked and it has a light, crunchy flavor. While you can eat the leaves, I haven't cooked with them yet. 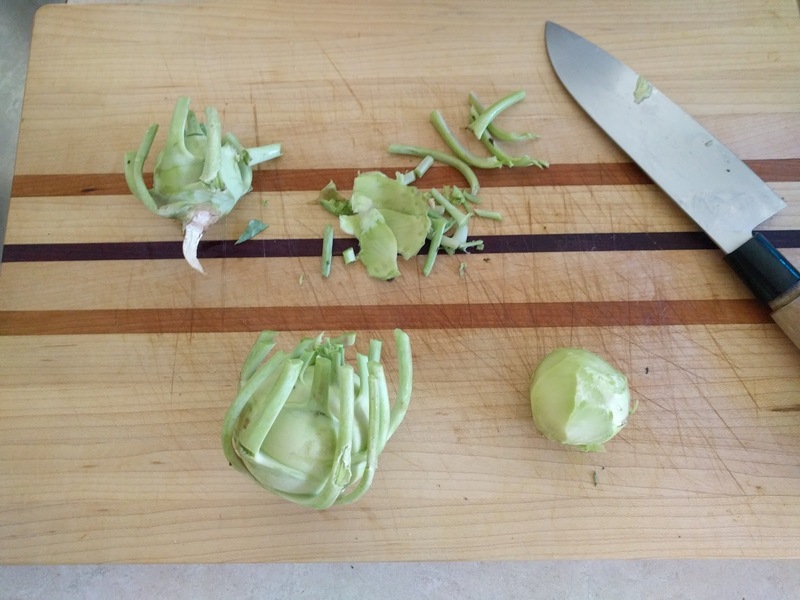 Before this week when we've gotten kohlrabi in our CSA share, I've grated the bulb (after removing the leaves and tough outer skin) and used it on salads to give them a bit more bite. 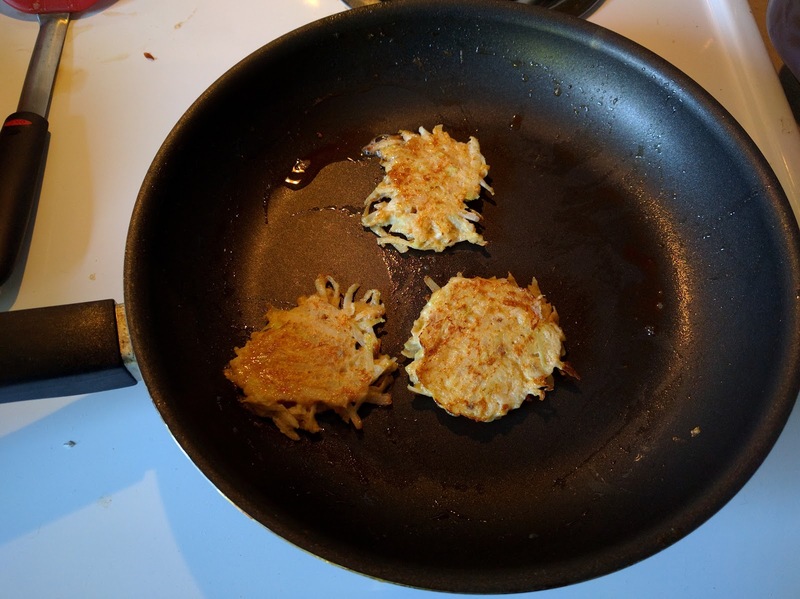 I decided to try cooking them this time and thought that fritters might be a good way to go, since they grate well and don't have too much flavor on their own. Warm butter or olive oil in a pan and drop batter in by large spoon fulls. Flatten gently and fry until golden, about 3 minutes per side. I didn't get a finished, dinner-plate photo (because, life with four kids) but I served them with home made mac and cheese and smoked sausage. The kids each got one small fritter each and while they ate them, no one asked for seconds. D and I thought they were delicious and I'll probably be making them again. 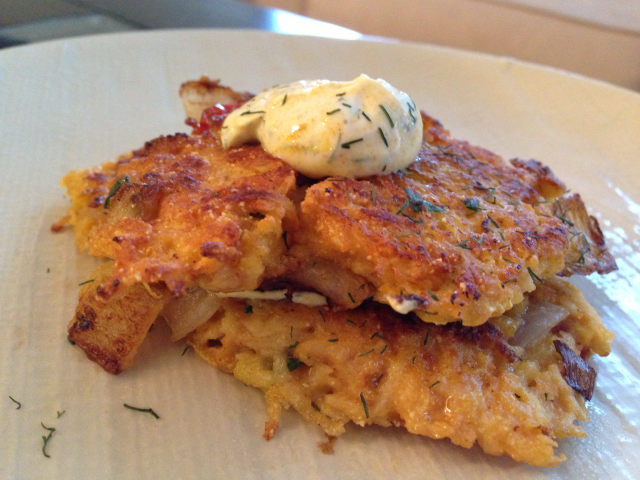 The photo above comes from this blog and she seasoned hers much more strongly and served them with a cream sauce. Having a dipping sauce, even ranch or ceasar dressing might have made them more appealing to the kids. I'll try it next time and let you know! 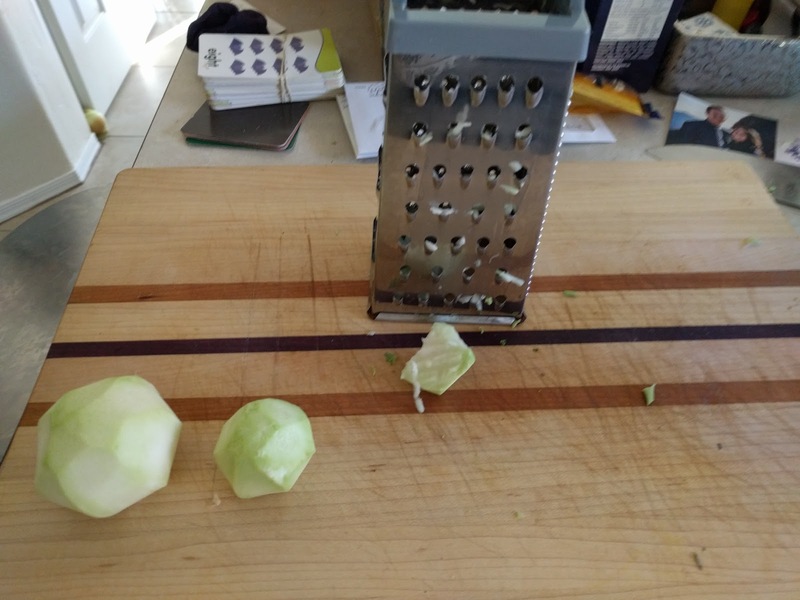 Mark loves kohlrabi! I used to grow it every summer and he enjoyed it peeled, sliced, and stored in a jar of water in the fridge. There was something about the crispness that appealed to him. He also liked jicama that way. Thanks for the tip- I think we'll try it that way. I've usually been cutting it up or shaving it and having it on salad.